Before deciding, consider the RFID benefits in relation to disadvantages. Take a look at the summary list of rfid disadvantages below. Look at any that may affect you, in more detail, and consider how significant each really is. We’ll look at how you can minimize its effects. What are the disadvantages of RFID over a rival technology such as barcoding? Expense is one of the more significant disadvantages of RFID, but there are ways to manage this. Passive tags are relatively inexpensive and, with some types, you can peel them off and stick them on various items, either manually or with an automated application system. Each has its own unique serial number. However they don’t have some of the advantages of active tags. Active tags are more expensive because they are more complex. They comprise a microchip, a radio transceiver, an antenna and have a battery. The read range of a passive tag is similar to that of a barcode. However the active tags are smart and more powerful, and can transmit and receive over a greater distance. While they cost more, you may still save overall, depending on the application. When pricing an RFID system, consider costs over the system lifetime, not just the price on the day you buy it. 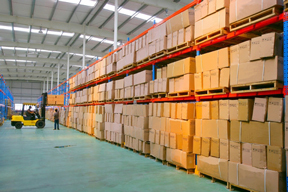 You need to do a full lifetime costing to determine the viability of using RFID. The labour saving may be significant, so don’t be put off by up-front initial costs. You may recoup these in a very short time. Do a cost-to-benefit analysis and consider the big picture. You can lower the initial costs. To get started, you can buy an RFID kit and carry out a trial. 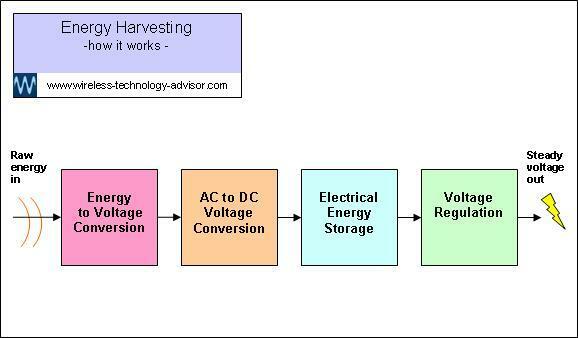 If this goes well, you could then build up your operation in small achievable steps, especially if cost is important. Use active tags that are reusable. Depending on the type, you may be able to remove, relocate and reprogram them. This is a practical way of overcoming one of the major disadvantages of RFID... the high cost of active tags. And you don’t need to know much about these systems to be able to benefit from them. Look for a system with an easy-to-understand user interface. The RF gives RFID its strength… but is also its weakness, and potentially also one of the disadvantages of RFID. 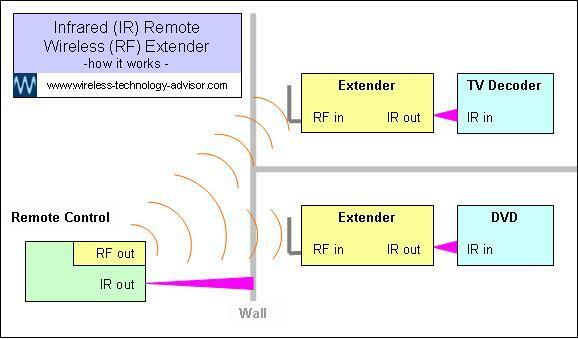 RFID can only work if there’s enough RF signal strength. RF carries the information between reader and tag. And that’s about it. So what can go wrong? If you don’t understand it, quite a lot. However, you can minimize RF dead spots. 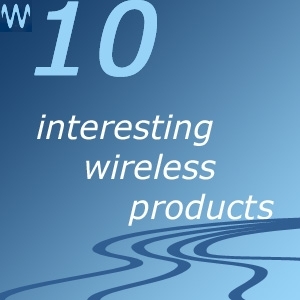 You can minimize these by using more than one reader and circularly-polarized or multiple-axis antennas. Another of the disadvantages of RFID is that you can’t see RF (it’s invisible) and the tags may be hidden. So if you can’t read a tag you’re less likely to know why, than with a bar code ID system… you can’t be sure if the tag is even there? So what can you do? Test the reader by using a known-good test tag. This lets you verify that the rest of the system is working. If it is, move the reader around and closer to the target tags. Some of this depends on how you install your system. Metal objects will affect an RF field, so don’t expect 100% reliability if you’re working near metal objects. Metal is common and in a warehouse it may be hard to avoid. So just lower your expectations and work around it. RF is like light, except you can’t see it. Both RF and light are electromagnetic energy. Like light, with RF you can get patterns of RF light and shade around structures, you just cant see it… but an antenna can detect it. A receiving antenna is like a pair of electronic eyes. A transmitting antenna is like a light bulb… they both radiate electromagnetic energy. But... you can move RF tags from the RF shade into the RF light. So movement between tag and reader can actually help, because you can move the tag from an RF dead spot into a position where the signal is strong – and it only takes an instant to read a tag. The same applies if the tag stays still and the reader moves. So if the first read attempt fails, there may be many more opportunities. After all the tag only has to be read once to establish that its actually there. You can minimize this problem by using an RFID system that uses lower frequency RF. The patterns of light and shade increase with frequency. This may affect tags attached to insulating materials such as plastics. The problem is usually caused by friction and can occur when items rub against each other and build up an electro-static charge. This may occur during manufacture, processing, transport and handling. There’s a sinister side to ESD. The damage isn’t always immediate… or obvious, and ESD may be one of the least-understood disadvantages of RFID. ESD can degrade an RFID (or any other electronic) device and make it operate erratically. It may fail completely, a minute, an hour, a day or a month later. There’s no way of knowing. Proactive ESD protection is a worthwhile strategy. Often there’s enough moisture in the air to provide a leakage path that will slowly discharge any electro-static charge that starts to build up. But on a dry day...! You could fit two tags to minimize the risk if it’s critical. There are various ways to minimize these risks, including making sure that charges can’t build up in the first place, or if they do, they are discharged in a controlled way that doesn’t stress the microchip. If necessary, you can measure and monitor electric fields from charge build up with a suitable instrument. 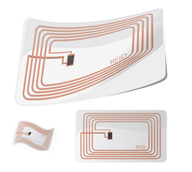 The size of an RFID tag is mainly determined by the size of its antenna. Ideally you want a tag to be as small as possible. But this is limited by the size of the antenna. The size of the antenna depends on the frequency of the RF. Usually, if you use a higher frequency, the antenna can be smaller. On an active tag, the processor chip is small compared with the antenna. The chip is the small blob and the larger printed copper conductor surrounding it is the antenna. Usually, the higher the frequency, the smaller is the antenna. So if you need the tag to be smaller, you may be able to use a higher frequency. But note that higher frequencies may introduce other limitations, and you need to consider these as well. There are applications that need maximum security and others that don’t need any security at all. RFID tags used in high security applications, such as bank cards, must comply with standards that demand the maximum level of security. This is one of the more worrying disadvantages of RFID. It’s now common to embed RFID chips in passports. This, and credit card RFID technology, leads to the possibility of another of the disadvantages of RFID. That of unauthorized reading of an RFID passport or credit card. While this is possible, there are a number of things that make it difficult. Some active smart tags can encrypt the information so that only the intended reader can understand it. Encryption standards are starting to emerge. 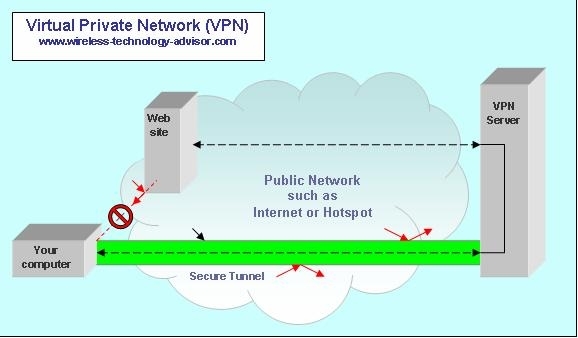 One is the NIST Advanced Encryption Standard (AES). This standard is becoming popular for encoding and decoding ciphers. Before an RFID passport or embedded credit card RFID tag can be read, there has to be sufficient RF coupling between tag and reader to carry the information between them. So someone would have to get quite close to carry out such an unauthorized read. The good news is that it’s reasonably easy to block RF. All you need, to provide RFID protection is a metallic layer over the tag to make an RFID shield or RFID blocker. Of all the disadvantages of RFID, this is the one you may not even notice unless your system has a very slow data rate. Like cars travelling in opposite directions along a road, RFID data traffic has its own set of rules (protocols) and standards to help avoid collisions… important where tags may be read simultaneously. Usually, it all happens so quickly that if a read isn’t successful the first time, the reader simply tries again. If it only gets one good reply, the reader at least knows that the tag, and the item it’s attached to, is there. It couldn’t reply if it wasn’t.